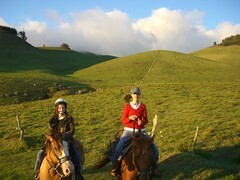 The sun was shining so we decided to go on a Paniolo Ride yesterday. And am I ever sore today. 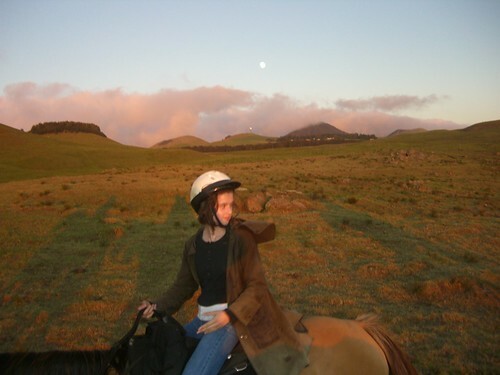 It’s been many, many years since I trotted on a horse but it was the canter that did me in. Ouch. Other than the pain involved, it was WONDERFUL. 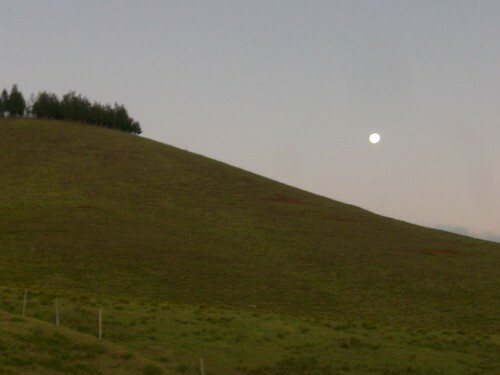 We went on the Sunset Ride and got an added bonus of a full moon and a rainbow. Breathtaking. 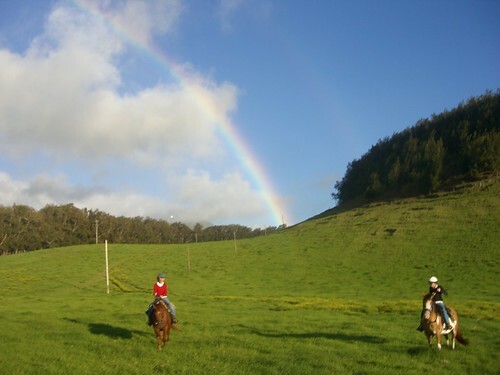 That’s the joy of the Big Island of Hawaii ~ there’s such a variety of things to do. Logan is ready to go riding again but I’m headed to the beach to swim with the sea turtles.